By Liz Nelson – TaxJusticeNetwork: On Monday 7 January, an adjournment debate took place in the UK parliament on the recent UN report on poverty and austerity in the UK. It was hosted by the UK Labour party’s Shadow Minister for Children, Emma Lewell-Buck. 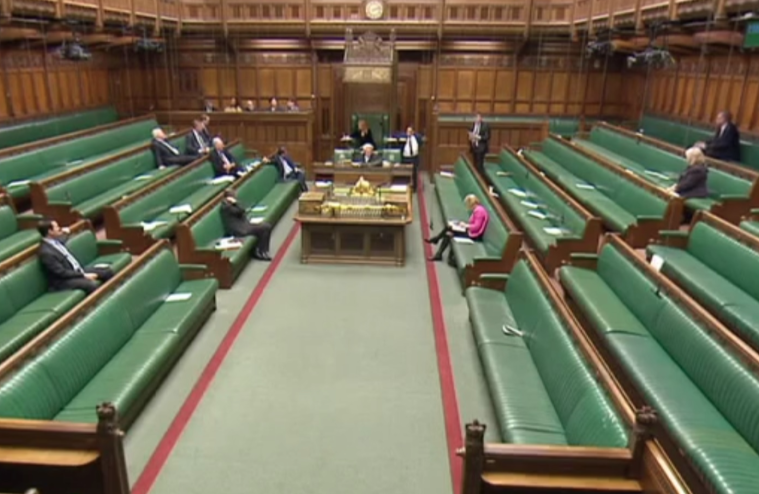 Scheduled at the end of the day’s parliamentary business, the debate drew a crowd of fourteen MPs. Emma Lewell-Buck gave a powerful summary of Professor Philip Alston’s findings, and together with backbench colleagues she vehemently criticised the UK government for their ‘shameful’ and dismissive response to the report. The presentation from the Shadow Minister concluded with a question and a challenge: is there the political will to address the issues arising from Professor Alston’s report? The UK has recently been under the spotlight concerning human rights because of the UN Special Rapporteur’s interim report published in November. Similar scrutiny came in the form of the periodic review process of the UN’s Commission on the Elimination of All Forms of Discrimination Against Women (CEDAW), to which the UK and Northern Ireland is a signatory. The Tax Justice Network has recently reported on CEDAW’s review of the UK, noting the impact of tax injustice and financial opacity across its Overseas Territories and Crown Dependencies on the rights of women across the world. We have also flagged the upcoming opportunities for civil society to contribute to the next CEDAW UK State party review (deadline 28 January), in part to challenge complacency and to call for stronger political will. Now seems a good time to dig around for different perspectives on the valuable role that civil society can play in explaining to governments the impact of their policies, or their inaction. In the UK, but of relevance more broadly, the important and serious evidence gathering session by the UK Parliament’s Women and Equalities Committee will be of interest in connection to the UK reporting on obligations under CEDAW (November 2018). First, there are important insights into the weaknesses of government coordination, planning, and accountability between departments and between government and civil society. Second, civil society representatives giving evidence made recommendations for improving practice and coordination with women’s organisations and with those concerned with the rights of women and girls. Third, the exchange of information during the oral evidence highlighted areas of ongoing and common concern, including lack of gender-disaggregated data collection and analysis and the absence of an authoritative ‘national machinery for women’ that holds together the strategic coordination under a government’s CEDAW obligations. The evidence also provides concrete examples of the damaging implications of misunderstanding of gender as a ‘neutral’ concept for the purposes of policy and legislation. All these concerns matter and resonate in setting out tax justice arguments and implementing tax just policies that support human rights and gender equality and tackle discrimination against women. The issues highlighted in the Women and Equalities Oral Evidence Report signpost surmountable problems that can and should be grasped. The ability to surmount the problems and make progress, does however, turn on the very point that the Shadow Minister made at the end of her speech on Monday: is there the political will to do so? You can read the full transcript of oral evidence to the UK Parliament’s Women and Equalities Committee here.